Exfoliating your skin is really important as it is the removing of dead surface skin cells. Dead skin cells makes the skin look dull and rough. Have you ever touched your face and it felt like sandpaper? Then you need to exfoliate regularly. I used to skip this step in skincare because I didn't understand how important it was. I would wash my face with soap, maybe use a cleanser or toner and that's it and my face didn't look good until I decided to take exfoliating seriously. 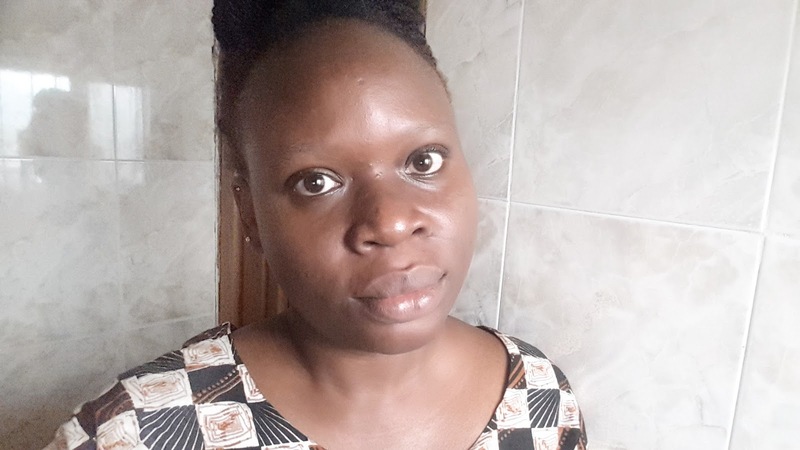 Then I began to see good results in my skincare. I have oily and acne prone skin and I find that exfoliating at least 3 times a week (or just once a week for times when I'm so lazy) helps keep my skin looking good. As I wrote earlier, exfoliating removes dead skin cells. 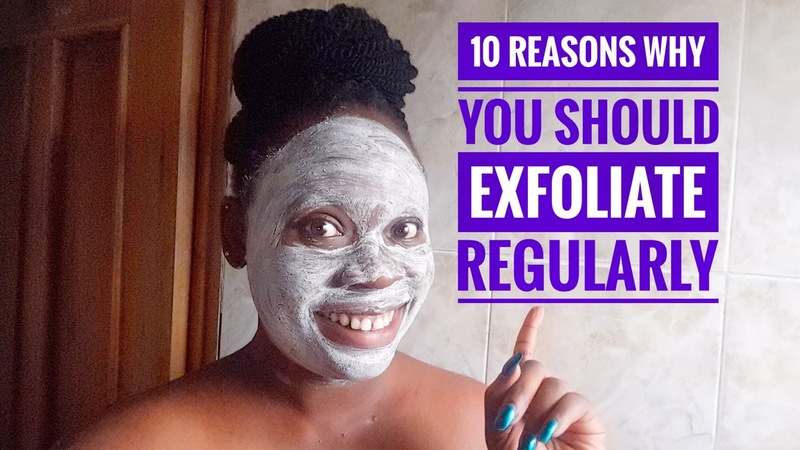 The skin is constantly regenerating itself and old skin cells are on the top layer while the new ones are lower so exfoliating your skin helps remove the dead skin cells and reveal new skin. Yes yes yes!!! I love how my skin feels after exfoliating. It's smooth and soft. Exfoliating gets rid of all the roughness and hardness that may have formed on my skin. 3. Exfoliating helps to even out skin tone. Exfoliating helps with this as it removes dull and dead skin cells to reveal new skin cells. When you're consistent with it it helps even out your skin tone. I have discolouration on my face and exfoliating has made it better and it's gradually fading away. Exfoliating helps remove dirt and impurities from the skin. It also helps remove all the product build up from makeup and skincare products. Make up, dirt from the environment and impurities can clog the skin pores. Clogged pores can lead to breakout or irritation on the skin. So exfoliating helps remove dirt from the skin pores, helping the skin to breathe. I have acne prone skin. Any small thing like this, BAM!! !, acne don full my face. But since I started exfoliating regularly, it has drastically reduced to when I have my period. It also helps to clear my skin especially my face of whiteheads (those white things we have on our nose), leaving my face smooth and fresh. 7. Exfoliating brightens the skin. I usually see the difference when I exfoliate my skin. My skin becomes brighter. Remember it helps remove dull skin cells. Exfoliating helps slow down the ageing process. Dull dead skin has a way of making us look old and also wrinkles and fine lines too. So exfoliating helps with that. 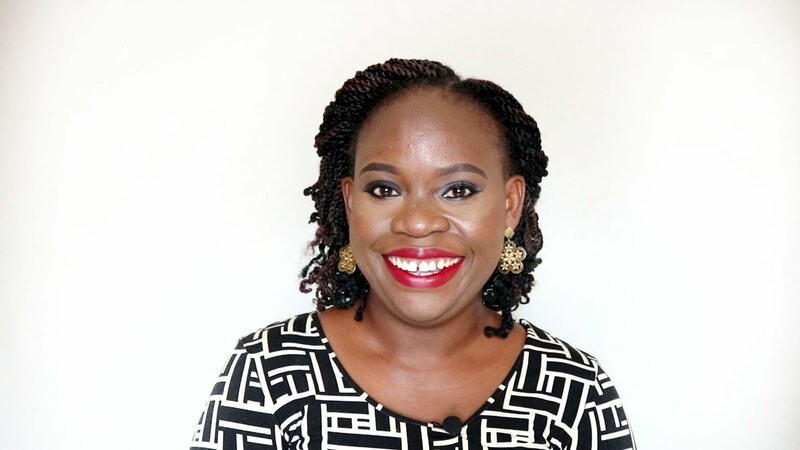 Once all that dead skin cells are gone, you skin can easily absorb those good skincare products you've bought to help keep and care for your skin. Do you have a product that you think isn't working at it's optimal? You should look into exfoliating regularly. 10. Exfoliating helps your makeup sit better. For the longest time I would apply makeup and have white flakes around my eyebrow or lips or my skin would look like it was peeling. It used to upset me a lot. Since I started exfoliating regularly, my makeup sits well on my face. No more skin that looks like it's peeling or flakiness. My skin is smooth enough for me to apply my foundation and powder. My skin is oily and acne prone so I exfoliate at home using the St Ives Apricot Scrub for oily/blemish prone skin at least once to three times a week (depending on my mood and time). It's oil free and has salicylic acid in it. My sisters and I have been using this scrub for years and it works. I recently got Sage and Skin Spa Exfoliating Body Scrub to use for my whole body (I'll let you know how it goes). So guys I hope I have been able to convince you on the need to exfoliate regular. If you want healthy glowing skin, then exfoliating regularly is the way to go. Do you exfoliate regularly? What product(s) do you use? If you have dry/sensitive skin, please share what products and how often you exfoliate with me and other readers in the comments. I only just started a skin care routine and I'm sticking to strictly natural products, so currently I use baking soda and coconut oil. I'm open to try other things so long as they don't contain harsh chemicals. Would want to cause more problems for my skin. Thanks for sharing these tips. I'm so lazy so I exfoliate once a week but I'll try to do it more often. Using natural products is good. I use black soap and oils more in my skincare than I did before. I have read really good things about baking soda. People use it for their hair and skin so I tried a baking soda and lemon face mask and made video https://www.youtube.com/watch?v=yAHCM-H2BDY&t=14s (if you can't click the link, copy and paste in your browser) and I love result so you may want to try it to. Ever since I discovered the importance of exfoliating, I turned it into a religion. It instantly gives an instant glow. So I'm totally down for exfoliating. Papaya scrubs are my favorite. Babe, it's good you turned it to a religion. The glow is so instant that it uplifts my mood immediately. This is so important! Literally, exfoliation has changed my skin's life--it's brighter, and more supple. I love the effect exfoliating has on my face. Thanks for sharing. I'm really glad the ladies who have left comments here exfoliate and see how important and good it is for their skin. Oops I don't X_X.. but yes, convinced to start a routine. 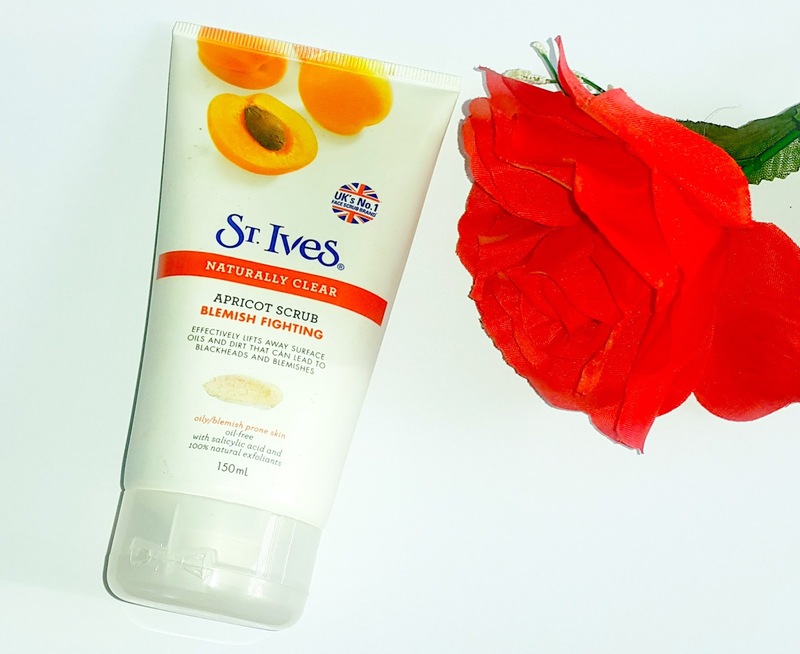 Going to try the St Ives Apricot Scrub you recommended.. or do you have any recommendation for me? I don't think I have an oily skin though. I love exfoliating. It makes my skin feel so much better!